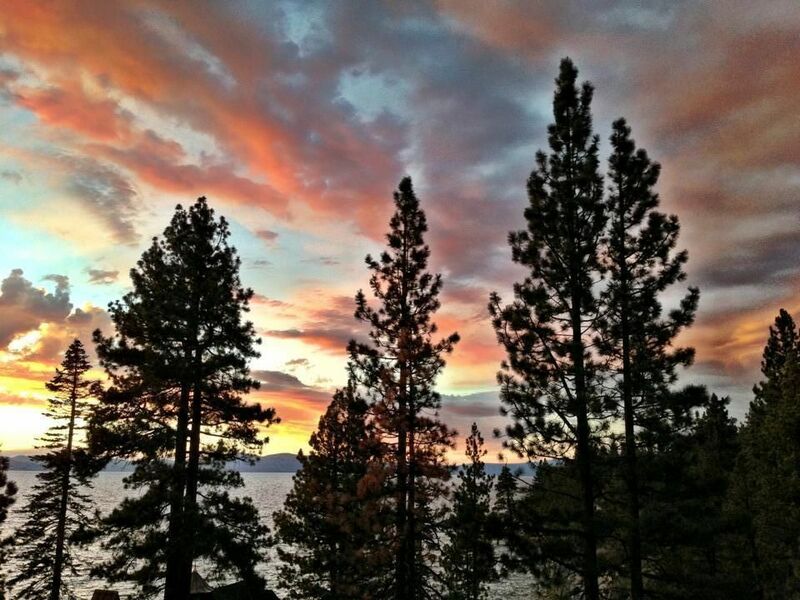 Lindamente reformado 'estilo do artesão Elegance' Lake View, Deluxe, Home in Southshore Lake Tahoe 5 Quartos, 4. 5 Casas de Banho, Aprox. 4300 Sq. Ft, acomoda 10, roupa de cama: Q / Q / Q / Q / Bunk (1F, 1T), 1 Q-golpe de colchão e um Pack-N-Play, grande deck com Jacuzzi Privado e barbecue a gás, lareira a gás, uma grande sala grande em cada andar, bar molhado, internet sem fio e muito mais! Localizado a 5 minutos de casinos, lojas e Heavenly Ski Resort. We had a wonderful time at this Tahoe house! Jenni, the owner, was so friendly and responsive that it made coordinating everything very easy. The house itself is very roomy, clean, and has a beautiful view from the deck! We definitely want to come back for another visit sometime. This is a great home with very nice owners. Jenni was very nice, always quick to respond and accommodating. We loved the spacious floor plan, extra bedrooms, fireplace, large kitchen, jacuzzi and spacious patio with a view of the lake. We felt at home when we met the nice neighbors and loved their dog. I'd highly recommend this house. Thanks Jenni for helping us create unforgettable family memories and experiences. You blessed us! Perfect home in a perfect place! The home is beautiful and comfortable. Our family especially loved the large kitchen for cooking together. The deck is large and amazing, with a great hot tub, grill, and seating. Jenni is responsive and helpful. Our family has stayed in many homes in Tahoe -- this was one of the favorites! A True Gem... that lead to an engagement! Our family of 9 fit comfortably in this home. The sunset views were spectacular from the deck! The pictures of the home, don't do it justice. It's warm, welcoming, and spacious! The home was lovely and so was the setting. Jenni is enthusiastic, accommodating, and always responsive during communication. The home will be forever special to myself and our families because my engagement proposal occurred on the deck! It would have been helpful if the driving directions that were provided would have been from the airport. We got turned around, but soon found our way. The garage door was not always dependable. It had to be opened manually. The garbage disposal was also broken. We are looking forward to coming back to visit soon! Had family out from South Dakota and had an incredible time in this wonderful home...spectacular deck to watch the sunsets. ..kitchen one dreams of. ..and Jenni was so great to work with...highly recommend this home! We, group of 10 friends (5 couple) have spent incredible 5 days (September 17-21) in this vacation house. The house welcomed us with gorgeous, open floor plan, absolutely stunning view from every window and with perfect accommodations. been used as a game area (pool table, ect.) however; we spent the happiest days ever and had perfect time. Jenni was very helpful, responsive and willing. I will definately recommend this place to everyone. P.S. Don't forget to visit Emerald Bay, the best spectacular place I have ever been. 3 night minimum stay required. We also charge a $350 cleaning fee and $50 hot tub fee, 14% tax on total of all costs per night and a $500 security deposit that is returned within 14 days of your stay if the property has no damage or doesn't need any excess cleaning. *Please note all holiday weekends/weeks are rented out at a higher price per night.